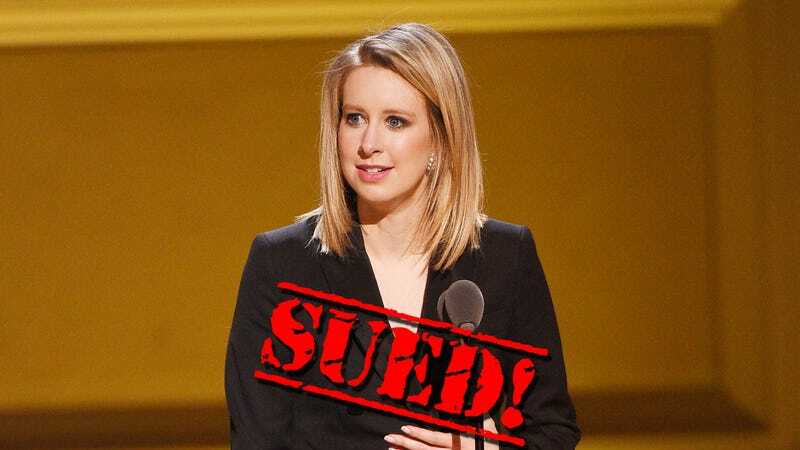 Theranos and its founder, disgraced CEO Elizabeth Holmes, is getting sued by one of its biggest investors. The once promising biotech startup has been slowly crumbling since The Wall Street Journal challenged its claim that it could test blood with just a few drops last October. Through a series of lies, material misstatements, and omissions, the defendants engaged in securities fraud and other violations by fraudulently inducing PFM to invest and maintain its investment in the company. In April, reports surfaced that Theranos was undergoing a criminal investigation for misleading its investors “about the state of its technology and operations.” The company has since voided two years of blood test results, effectively recalling its entire testing platform. Last week, Holmes announced in an open letter that Theranos was shuttering its labs and wellness centers to focus on the company’s new miniLab device. In August, the company withdrew its application for FDA approval when federal regulators took issue with the miniLab device having improper patient safeguards. Despite this hiccup, the company will pursue this project likely because in July, Elizabeth Holmes was banned from operating labs for two years; pursuing the miniLab will allow Holmes to remain at her post. Just one tech blogger’s opinion but hey, Theranos, have you considered giving up? I would say get out while you’re ahead, but it’s clearly too late for that.